What a difference a week makes! 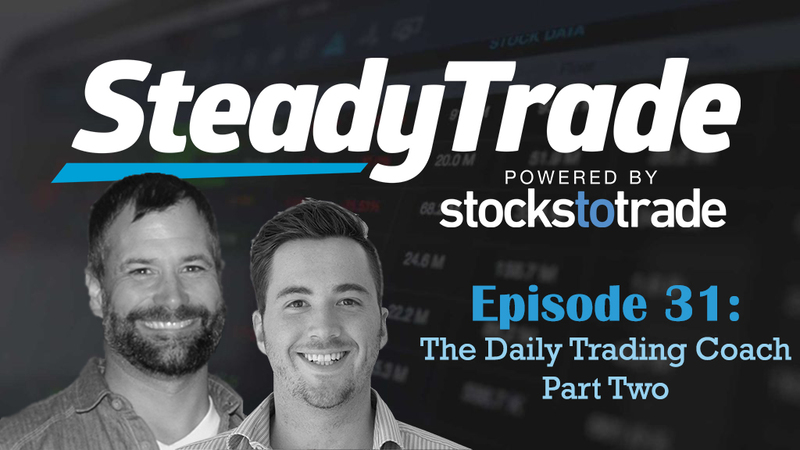 Since Episode 30, wherein hosts Tim Bohen and Stephen Johnson began discussing a series of themes from the book The Daily Trading Coach by Brett Steenbarger, a lot has changed in the stock market. With that in mind, while Episode 31 is ultimately dedicated to finishing up the discussion about this invaluable trading volume, there’s also a detailed discussion about the action picking up in the market and how to best take advantage of it right now. There’s been an exciting development in the market lately: movement! As listeners know, early 2018 has been marked with some seriously sluggish markets; you can listen to Episode 28: Slow Market Blues, to learn more. Before delving back into The Daily Trading Coach, Tim and Stephen discuss what’s happening with stocks right now, including offering tips on how to make the market’s current movement work for you. For topics, one through three, be sure to check out Episode 30! While history may not repeat itself directly, it can give us an edge by giving us a hypothesis for how a stock may perform moving forward. How can we work from history to guide ourselves moving forward? Tim and Stephen love this topic because it relates so directly to the whole theme of the show: maintaining steady success as a trader. Using historical analysis to inform your trades is an invaluable way to up your earnings. Investing in plenty of screen time, or as Tim lovingly says, “looking at charts til your eyes bleed” is the best way to begin to understand how the history of stocks can give you an idea of what may transpire in the future. While this never becomes “easy” per se, it does become easier with time, especially with the helpful tips offered in the show. A disease that affects many a trader is the inability to think greatly about themselves. To clarify, this doesn’t mean that traders should be narcissistic, nor does it mean that they should be taking a spiritual guidance sort of path. Thinking highly of oneself is more about charting a path that makes a difference, and living a goal-oriented life rather than a rudderless existence. So how, as a trader, can you begin to believe in yourself so that you can live up to your potential? While this is some truly high-level stuff, Stephen is actually able to offer some touching advice on what it means to become your own personal trading guide and how it requires believing in yourself. As Tim adds, being a trader is hard; you’ll inevitably suffer from “I’m not good enough” syndrome, experience self-doubt, low motivation, and more. Both Tim and Stephen offer some advice on why it matters to believe in yourself as a trader, and what you can stand to gain. They also offer some specific and proven ways to build and maintain motivation as a trader so that you can be the best you can be. If you’re an aspiring trader, The Daily Trading Coach is a great investment. It will only require five to ten minutes a day, but it will give you nuggets of wisdom that will add up to improved trading. There are tons of trading books out there, but this is one of the highest suggestions that Tim and Stephen have. The episode closes with a special treat: a Kenny Rogers-trading mashup of a musical performance by listener Jude! Spoiler: Tim may or may not shed tears. This may be the greatest song in country stock market trading history! If you’d like to submit your own Steady Trade-inspired song, or just ask a question about something in the show, be sure to visit the “submit your audio” section on our website. Your audio might just be featured in an upcoming episode! Thanks for tuning in to the Steady Trade Podcast! Stay tuned for weekly episodes covering every aspect of how to be a steady trader with long-term, reliable success! Just another great Podcast, great tunes as well. Keep up the good work. great podcast and loved the country songs , you guys are to funny !Love it!! Nice one guys. Love the closing song. Haha, yeah it was awesome! Very good episode – especially the bit about paper cuts and persistence. Thank you for listening Jim! Another great podcast, Guys. Loved the song, she did great!! Now can we get a music competition going…lol!!! No, loved the quotes from Brett Steenbarger. I’m reading the book! Yeah book is incredible, a must read!! Thanks again for this weely podcast. Always get at least one idea, reaffirmation, or habit I can focus on from you guys. Thanks for keeping it real! Hi, I have a question. Does sst works in iPad? Not yet, but the APP is in final beta testing, coming soon, thanks. Great idea!! Will work on this. Thanks! I heard Stephen validate what I experienced in the beginning too….I couldn’t stand watching his videos…great episode of the podcast as usual and fantastic song at the end! Thank you guys. Thanks again guys for another great Podcast. Thank you for tuning in Mick! Thanks for this, guys. I hope you know how helpful these weekly offerings of yours are, if for nothing else, as a reminder to keep going and not give up!!! 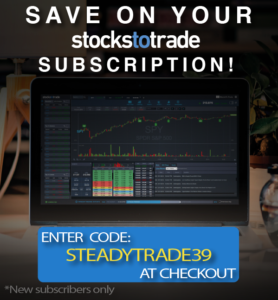 I’ve never missed an episode even if I had to watch it later… I love this SteadyTrade Podcast!! Thanks for this, guys. Very inspiring and great information, I have learned a lot from listening to this podcast it has been very useful. Keep living the dream!!! Thank you for the kind comments Eric!